Today is the winter solstice, which means it’s also the sixth anniversary of this blog. On these anniversaries I like to write about archaeoastronomy, which is a very interesting topic and an important one for understanding Chaco and Southwestern prehistory in general. Last year I wrote about some research indicating that in the Rio Grande valley, an area generally thought to be outside the Chaco system but that was certainly occupied at the same time as Chaco, there was a long and very consistent tradition of orienting pit structures to the east-southeast, which is the direction of winter solstice sunrise. The winter solstice is very important in the cosmology and rituals of the modern Pueblos, so it makes a lot of sense that at least some Pueblo groups would orient their dwellings based on it. As I noted at the time, this orientation is very different from that in the San Juan region to the west, including Chaco and Mesa Verde. In this area there is an equally long tradition of orienting pit structures to either due south or south-southeast. I’ve long wondered why this might be, and an article I read recently discusses the issue and proposes some interesting potential answers. The article is by Kim Malville and Andrew Munro and was published in the journal Archaeoastronomy in 2010 as part of a special issue on archaeoastronomy in the Southwest. Malville is an astronomer who has done a lot of research on archaeoastronomy in the Southwest and identified many potential astronomical alignments, but this article is actually largely about debunking many of the alleged alignments claimed by others, particularly Anna Sofaer and her Solstice Project. Sofaer, an artist who turned her attention to archaeoastronomy after discovering the “Sun Dagger” effect involving a spiral petroglyph on Fajada Butte that on the summer solstice appears (or appeared) to be bisected by a “dagger” of light coming through a slit between large boulders in front of it. Sofaer went on to organize surveys of the major great house sites in Chaco Canyon to identify any celestial alignments in the orientation of their walls, and her team found that virtually all of them did show alignments to the positions of the sun or moon on solstices, equinoxes, or lunar standstills. Sofaer and her collaborators went on to publish these findings widely, and to make a well-known documentary that has often been shown on television and inspired a lot of interest in Chaco. As Malville and Munro show in this paper, however, the evidence for these alignments is very thin. There is little to no justification in Pueblo ethnography for the idea of celestial building alignments, and the alignments themselves are identified with a substantial margin for error that makes spurious positive identifications likely, especially when so many potential alignments are tested for. Particularly concerning is how many of the alignments are to the minor lunar standstill, which is not a very impressive or noticeable event. (The major lunar standstill is a different story, and there is strong evidence at Chimney Rock in Colorado that the Chacoans were familiar with it and considered it important.) 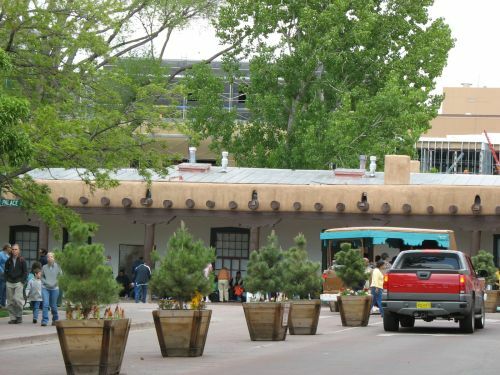 Malville and Munro also argue that the fact that most of the alignments are based on the rear walls of sites is also questionable, since there is no evidence that rear wall alignments were or are important culturally to Puebloans. Instead, they argue that the alignments of rear walls are epiphenomenal, and that they mostly result from the more solidly established concern with the orientation of the front of a site. 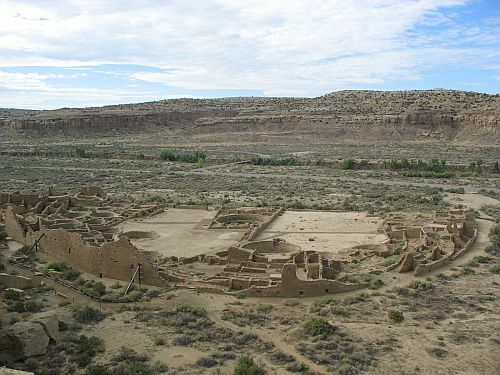 The bulk of the article is devoting to tracing these frontal orientations across time and space, with a primary focus on Chaco itself and on the earlier Pueblo I villages in the area of Dolores, Colorado that are often seen as being partly ancestral to the Chaco system. As I noted above, there are two main orientations that persist through time in the San Juan region. One is to due south, and the other is to the south-southeast (SSE). With pit structures these axes are typically defined by a straight line of sipapu (if present), hearth, deflector, and vent shaft. There is often also a measure of bilateral symmetry between features on either side of this line, such as support posts. When there are surface rooms behind a pit structure, they often (but not always) conform to the same alignment, and when the back of a row of surface rooms is straight, it is typically perpendicular to the main orientation. Malville and Munro argue that these perpendicular back walls on many Chacoan great houses, which Sofaer has identified as having alignments to various astronomical phenomena, are really subsidiary effects of the main emphasis on frontal orientation. The authors start their survey of orientations with the Basketmaker III pithouse village of Shabik’eschee at Chaco. Of 15 pithouses for which they could find adequate information on orientation, 11 faced SSE with an average azimuth of 153.7 degrees and 4 faced south with an average azimuth of 185 degrees. Strikingly, none of the pithouses showed any other orientation. The north-south orientation isn’t difficult to understand, and Malville and Munro attribute it to use of the night sky for navigation (which would have been easy enough at this time even though there wasn’t actually a north star), and they also mention the widespread presence of Pueblo traditions mentioning origins in the north. While the exact reasons for adoption of this orientation may not be clear, its consistency isn’t unexpected since it’s pretty obvious and easy to replicate. 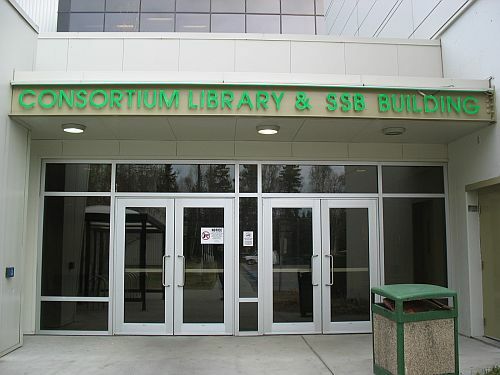 The SSE orientation, on the other hand, is a different matter. Note that at Shabik’eschee this was much more common than the southern orientation, from which it is offset by about 20 to 30 degrees in individual cases. There is more variation in this orientation than with the southern one (standard deviation of 7.7 degrees versus 2.4), but it’s sufficiently consistent and common that it seems like there must be some specific reason for it. Unlike the southern orientation, however, it’s not at all clear what that might be. Malville and Munro, sticking to their interpretation of orientations as references to places of origin, suggest that in the case of Shabik’eschee it might reflect the fact that some people might have migrated to Chaco from an area that was more to the north-northwest than due north, which seems implausible to me but then I don’t have a better explanation myself. In any case, this pattern continues through time. The next set of orientations Malville and Munro look at are those of the pit structures at the Pueblo I Dolores villages. What they find is that SSE orientations are dominant here too, even more so than at Shabik’eschee. In fact, all of the pit structures they looked at had SSE orientations except those at Grass Mesa Village, which mostly faced faced south (although even here there were a few SSE orientations). This is in keeping with other evidence for differences in architecture among different villages at Dolores; Grass Mesa is known for having long, straight room blocks, as opposed to the smaller and often crescent-shaped roomblocks at McPhee Village, which with it is most often compared. The Duckfoot site, to the west of the Dolores villages but contemporaneous with them, also had a SSE orientation. Further west, however, southern orientations become more common, including at the important village sites of Yellow Jacket and Alkali Ridge, plus some of the earlier Basketmaker II sites on Cedar Mesa in Utah. There was one more orientation used during the Pueblo I period in the Northern San Juan region, however. 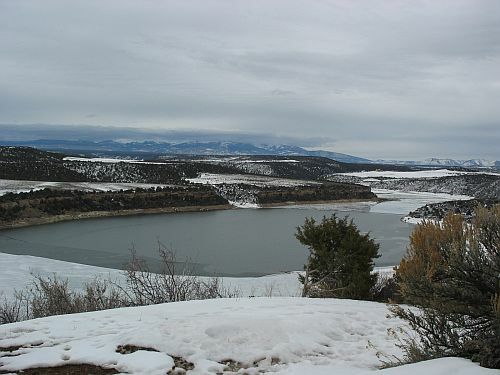 At Sacred Ridge, in Ridges Basin near modern Durango, Colorado, the average azimuth of the pit structures is 120 degrees, the same east-southeast orientation corresponding to winter solstice sunrise so common in the Rio Grande. Malville and Munro remark on the similarity to the Rio Grande pattern and consider it “puzzling,” positing some potential ways that it could have come about. They argue, however, that wherever this pattern came from it didn’t last in the north, and they point to the extremely violent end to the occupation of Sacred Ridge as the end of this orientation tradition in the San Juan region (although this may not be strictly true, as discussed below). From here Malville and Munro turn back to Chaco. 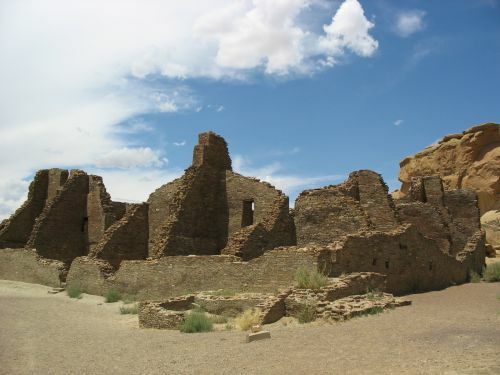 Specifically, they look at the great houses at Chaco during its heyday from about AD 850 to 1150. Rather than pit structures, they focus on roomblocks, and they interpret the orientation of a roomblock to be the perpendicular to its long axis (in the case of rectangular roomblocks) or the perpendicular to the ends of the crescent of roomblocks with that shape. They find that most of the great houses have a SSE orientation, in keeping with the general trend throughout the region, as do the three northern outlier great houses of Chimney Rock, Salmon, and Aztec. Since this orientation is very close to the perpendicular of the minor lunar standstill moonrise alignment that Sofaer has proposed for many of these buildings, Malville and Munro argue that this widespread orientation explains the pattern much better than the lunar alignment. Pueblo Alto and Tsin Kletzin have north-south orientations, which is unsurprising since they lie on a north-south line with each other. A few of the great houses have a more complicated situation. Peñasco Blanco appears to face east-southeast at an azimuth of approximately 115 degrees. This is intriguingly close to the Rio Grande/Sacred Ridge winter solstice orientation, which Malville and Munro do note. Although the unexcavated nature of the site makes it hard to tell for sure, it is possible that this is in fact an example of this orientation surviving much later in the San Juan region than the destruction of Sacred Ridge, although what, if any, connection there might be between the two sites is unclear. And then there’s Pueblo Bonito. While the very precise north-south and east-west cardinal alignments of some of the key walls at this site are well known, it has also long been noted that there is evidence for different alignments and change over time here. Malville and Munro interpret the early crescent shape of the building as having a SSE orientation, and like many others they relate it to the similar size, shape, and orientation of McPhee Pueblo at McPhee Village. They then describe multiple stages of drift away from this orientation toward the cardinal orientation. There is surely something to this interpretation, but a careful look at the stages of construction of the site shows that the picture is probably more complicated. The very first construction at Bonito appears to have been straight and oriented to the south, and to have been incorporated later into the SSE-facing crescent. Subsequent building stages show evidence of both orientations having been present throughout the history of the building. The complicated situation at Pueblo Bonito provides a convenient segue to the key issue here: what was driving this long-term but consistent variation? 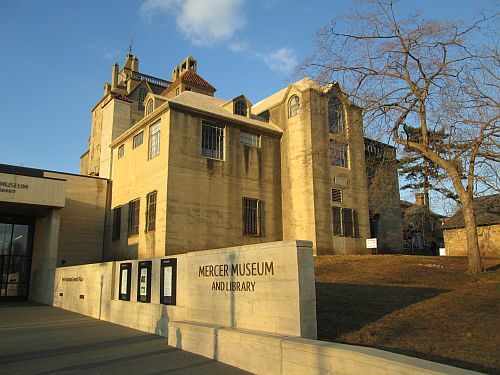 Why were two different orientations for buildings present in close proximity for hundreds of years, even as populations moved long distances and adjusted their cultures in profound ways? Malville and Munro suggest that these orientations may reflect longstanding cultural and ethnic diversity in the prehistoric Southwest. Given how long-lived and consistent these patterns are, they propose that they were related to deep-seated cultural identities. This is an intriguing idea that may allow tracking of specific cultural groups across the Southwest over centuries. 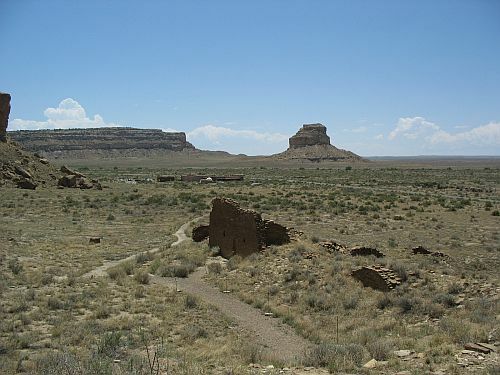 It also provides another piece of evidence that Chaco Canyon was a multicultural community, and implies that even Pueblo Bonito itself contained groups with diverse backgrounds. The picture is probably even more complicated than Malville and Munro suggest. They tend to implicitly assume that the orientations of pit structures are the same as those of the room blocks with which they are associated, but at least at Chaco this is not necessary true, particularly for small-house sites, which they also don’t address at all in this study. There are many examples of small houses where the room blocks are oriented to the east but the pit structures are oriented to the south (and possibly also SSE, although I haven’t checked this). This eastern orientation may reflect connections to the south, which have gotten a lot less attention in the literature than connections to the north although they appear to have been pretty important in the origins of Chaco. In any case, I think this is fascinating stuff. It may not be archaeoastronomy per se, but it seems like a fitting way to mark the solstice. Today is the summer solstice, on which I typically make posts about archaeoastronomy, so I’m going to take a break from my very gradual series of posts on tracing the connections between ancient and modern Pueblos to speculate a bit about the role of astronomy at Chaco. Briefly, what I’m proposing is that the rise of Chaco as a regional center could have been due to it being the first place in the Southwest to develop detailed, precise knowledge of the movements of heavenly bodies (especially the sun and moon), which allowed Chacoan religious leaders to develop an elaborate ceremonial calendar with rituals that proved attractive enough to other groups in the region to give the canyon immense religious prestige. This would have drawn many people from the surrounding area to Chaco, either on short-term pilgrimages or permanently, which in turn would have given Chacoan political elites (who may or may not have been the same people as the religious leaders) the economic base to project political and/or military power throughout a large area, and cultural influence even further. I don’t have any specific research papers to discuss on this topic because as far as I know no one has really looked at it quite this way. It’s similar in some respects to the theories of the Solstice Project, although I don’t buy that astronomical alignments were quite as important in the Chacoan system as they propose. There is also some overlap with the theories of various archaeologists, but none of them have put the pieces together in quite this way. This may be because it’s demonstrably wrong, but if it is I haven’t seen the evidence that disproves it yet (but would be very interesting in doing so). Tiwanaku’s long rise to power in the Andean altiplano was predicated on the integration of diverse local ritual cults and various symbolic dimensions of the natural environment into a reasonably coherent, supremely elegant and powerfully predictive religion. The shifting physicality of Tiwanaku’s religious monuments attests the construction and ongoing transformation of an urban landscape that not only visually expressed the altiplano’s ‘natural’ forces and cycles, but, via recurring construction and ritual, simultaneously shaped new social practices and Tiwanaku’s ever-increasing political influence and productive coordination, intensification and expansion. Tiwanaku was an imperfect and potentially volatile integration of religious cults, productive enterprises and societies. The material objectification of a seductive religious ideology that infused the monumental centre with numinous natural forces and simultaneously projected those forces across distant Andean realms helped drive Tiwanaku’s very worldly imperial mission. Tiwanaku was apparently the first society in the altiplano to develop the level of astronomical skill which allowed it to develop such a “powerfully predictive” religion, and my application of a similar theory to Chaco relies on it also being the first place that developed a comparable knowledge of astronomy in the Southwest. I hadn’t really thought about this before reading Janusek’s work, but as far as I can tell it does in fact seem to be the case. Ray Williamson’s somewhat dated but still very useful book on Native North American astronomy (which I reviewed here) doesn’t mention any evidence of Southwestern astronomical knowledge predating Chaco, and I haven’t seen any other publications that do either. Granted, some of the evidence for astronomical evidence comes from rock art which is difficult or impossible to date, but at least when it comes to building alignments, which are more securely datable, the Chacoan great houses seem to be the earliest manifestation of detailed astronomical knowledge. Some earlier sites do show general alignments to cardinal directions and so forth, but the precise alignments to solstices and lunar standstills that are characteristic of Chacoan buildings do really seem to be innovative. I’m not totally certain that there aren’t counterexamples out there, though, so if anyone knows of any I’m very interested in hearing about them. If this is in fact the case, it opens up several additional lines of inquiry. First, if Chaco was in fact the first place in the (northern?) Southwest to attain detailed astronomical knowledge, where did that knowledge come from? Many discussions of Chacoan astronomy have assumed, implicitly or explicitly, that the answer is “Mexico,” but I’m not so sure. There is definitely extensive evidence of contact with Mesoamerica at Chaco, but it’s all fairly indirect and there are lots of important aspects of Mesoamerican culture that are noticeably lacking. Mesoamerican astronomical knowledge was certainly impressive, and certainly predates the rise of Chaco, but given the general context I think it’s still an open question whether the Chacoans got their knowledge from contacts to the south (either directly or via the Hohokam and/or Mogollon) or developed it independently. This is an area that would definitely benefit from further study. Secondly, why Chaco rather than somewhere else in the region? This is sort of the key question hanging over everything about Chaco, and so far no one has come up with a broadly convincing answer. I don’t have one either; the astronomy theory I’m proposing here answers the “how” of Chaco but not the “why.” It could be that, as some archaeologists have proposed, the physical setting of the canyon had unique attributes within the region that contributed to its ritual importance from an early period, which from my perspective would have provided the impetus for the development and/or integration of new astronomical knowledge into existing belief systems. 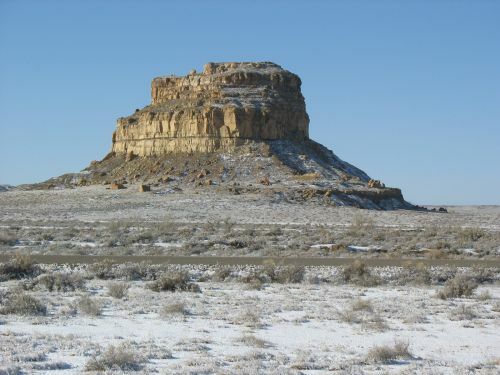 Alternatively, as other archaeologists have argued, there could have been economic advantages to the location, which are not obvious to modern eyes but were sufficient to give Chaco an important role in the region, which may have made it a promising place for new ideas to develop or be introduced. And finally, maybe it’s all just a matter of historical contingency: this was where people happened to figure this stuff out, and that’s what made it attractive to others for both religious and economic reasons. Another question is when this would have happened. Chaco was occupied for hundreds of years, but its florescence as a regional center was relatively brief, lasting roughly a century from AD 1030 to 1130 or so. One natural conclusion would be that the development of new astronomical knowledge happened at the start of this period, but I suspect it actually began earlier, probably during the period (roughly the late ninth and tenth centuries, or the late Pueblo I period) when Chaco was just one of several “proto-great-house” communities in the San Juan Basin that were more or less equal in size and influence. Over time, the advantages of the Chacoan rituals over the others would have become apparent, perhaps through fortuitous stretches of good weather and/or military successes by Chacoan warriors. This would have set the stage for Chacoan influence to expand on a vast scale during the eleventh century. As the reference to military success in the previous paragraph suggests, I don’t see the expansion of Chacoan religious influence fueled by astronomical knowledge as having necessarily been entirely peaceful. Here again, the parallel to Tiwanaku is instructive. Note Janusek’s reference to Tiwanaku’s “very worldly imperial mission” in the quote above. I suspect what we would today see as “religious” and “secular” impulses were much more intertwined at Chaco, as indeed they have been shown to be in many societies. All that said, I’m not totally convinced by this theory myself, and there are many strands of the Chacoan record that it doesn’t really seem to account for in an obvious way. I figured this was a good opportunity to toss it out there, though, to see whether it’s worth pursuing further. I often read articles on the archaeology of other parts of the world to gain a better understanding of the context for Chaco. The areas I focus on for this are primarily those that had interesting things going on contemporaneous with the Chacoan era, but I also look to some extent on archaeological phenomena in other places that are comparable to the Chaco Phenomenon itself to see if there are any lessons for understanding Chaco to be drawn from them. Recently I’ve been reading a bit about the archaeology of Tiwanaku, Bolivia, which falls into both categories. The period of Tiwanaku’s florescence overlaps with Chaco’s to some extent, although it falls most earlier, but more importantly the history of research there has some intriguing parallels to the history of Chacoan studies and may hold some useful lessons. My account of Tiwanaku here is drawn mainly from John Janusek’s 2004 review article, as well as some other papers by Janusek and others who seem to share his general perspective. Tiwanaku itself is a major site located on the Bolivian altiplano near Lake Titicaca. It is in a very stark and desolate-seeming location, which makes its monumental architecture seem incongruous (sound familiar?). Early explorers noted that the site pre-dated the Inka empire, and some considered it the oldest site in the whole Andean region. Archaeological investigations in the early twentieth century showed that the latter characterization was definitely not accurate, but they also found little evidence of domestic occupation, and the idea arose that Tiwanaku was a vacant ceremonial center and pilgrimage destination, which some interpreted as the center for a religious movement that was spread by the expansionary state centered at the site of Wari further north in Peru. Starting in the 1950s, however, a new archaeological program sponsored by the nationalist government of Bolivia and led by Carlos Ponce Sanginés conducted extensive excavations at the site and concluded instead that Tiwanaku was the urban capital of an expansionist state, which rivaled Wari and eventually even conquered it. By the 1980s researchers from the US were invited to work in the area as well, and their research has generally supported this reconstruction of Tiwanaku rather than the “vacant ceremonial center” hypothesis, although the idea that Tiwanaku actually conquered Wari didn’t hold up. Janusek is part of this research tradition, which is why the fact that my information on the site comes mainly from him is important. There are apparently still other archaeologists who still hold to the older interpretation, but there don’t seem to be many. Anyone who is familiar with the history of research at Chaco should see the similarities here. One important difference, of course, is that the early research at Chaco assumed that it was a residential rather than a ceremonial center. It was not until the work of the Chaco Project in the 1970s that it began to seem like the great houses in the canyon were something other than “pueblos” in the traditional sense. While the idea of Chaco as a vacant ceremonial center was never universal, and it arose rather recently in the history of Chacoan research, it has been quite influential in recent years. 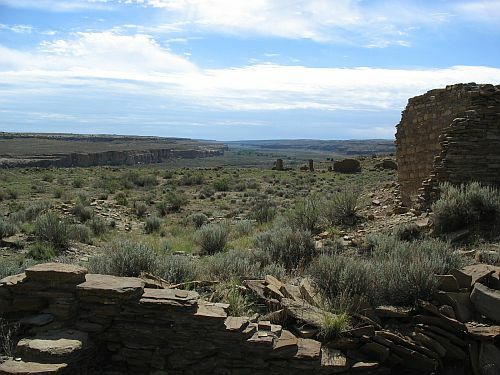 Recent research, such as that of Chip Wills, Steve Plog, and Steve Lekson, has been moving away from this idea, however, and back to the idea of a substantial population in the canyon. In parallel with Tiwanaku, however, many of these recent interpretations have seen Chaco as more of a complex, hierarchical society than a set of autonomous, egalitarian villages. This makes the monumental architecture that is a hallmark of the Chaco Phenomenon seem like more of an expression of hierarchical than spiritual ideals. One important lesson of Tiwanaku, however, is that these are not necessarily mutually exclusive. The monumental architecture and art at the main site and other sites considered to be regional centers of the same polity (“outliers” in Chacoan terminology?) is generally interpreted as reflecting a religious ideology that supported the hierarchical structure of the Tiwanaku state. This is hardly unusual in early states, of course, but the fact that Tiwanaku was not originally considered to be such a state makes it more relevant to the case of Chaco, which is in the same situation. I haven’t seen this same argument applied explicitly to Chaco, but I think it may apply there as well. The part about incorporating diverse cultural traditions seems to match pretty closely with the well-known diversity of material culture at Chaco, with different sites within the canyon, and even different parts of some of the larger sites, showing ties to different parts of the region. I don’t know of any pre-Chacoan sites in the Southwest that show obvious astronomical alignments the way Chaco does, so it seems probable that the Chacoans were the first to figure out these alignments, and they may have also been the first to develop the rigorous calendrical knowledge that such mastery of astronomy implies. I hadn’t really thought about that as a source of Chacoan power before reading about Tiwanaku, but it certainly makes sense. This is a good example of the way reading about these far-flung places has practical advantages for understanding Chaco. Maria Konnikova has a good post explaining how blogging, along with other “popular” writing such as journalism, is very good practice for the sort of work involved in academic scholarship. I’m not an academic myself and have no interest in becoming one, but I definitely agree with her that blogging helps develop skills in analyzing, synthesizing, and (especially) explaining complicated information compiled from diverse sources, which is what good scholarship in any discipline should do. I also found her comments on disciplinary isolation within academia interesting, since I’ve found a lot of the same things to be true in archaeology that she found in psychology. I tend to dig deep and look broadly for research that might relate in some way to Chaco, and in doing so I’ve found interesting and relevant publications in very unlikely places. Some of my early posts on subjects such as the ancient Maya and the European Reformation are good examples of how these connections can be found. I haven’t done as much of this lately, it’s true; I’ve increasingly begun doing posts that are either narrowly about Chaco or about something else entirely that also happens to interest me. My recent decision to devote this blog to Chaco and to find somewhere else to put the other stuff may lead me to do more to relate the various things I read to Chacoan issues, or maybe not. We’ll see.